Welcome to Seattle Prep’s Alumni Service Corps (ASC). You will find our program capturing your attention, and hopefully igniting your imagination as you consider the opportunities ahead for you. Picture yourself joining the ASC, living in community with fellow Prep graduates, and providing a year of service to the school. Our current students see our mission in action as they experience examples of the Grad at Grad daily. The Alumni Service Corps serves as an opportunity to live in gratitude and experience community, personal formation, and service. In my 20+ years of teaching and coaching at Seattle Prep, I am continually challenged and humbled by you, our students and graduates. Thank you for considering the Alumni Service Corps and I look forward to reconnecting with you. Please feel free to contact me personally at bmeza@seaprep.org. Seattle Prep welcomed its first class of Alumni Service Corps (ASC) volunteers in August 2017. The ASC program is an extension of our mission in action, where current Seattle Prep students experience the leadership qualities of our recent graduates. This unique volunteer opportunity helps serve a variety of academic, co-curricular, and formational needs on campus. Our ASC volunteers participate in retreats, clubs, service projects, tutoring, and in a variety of other areas on campus. ASC volunteers strive to grow in Ignatian spirituality by living simply in community for a school year of service devoted to Seattle Prep. ASC volunteers give back a year of post-college service in gratitude for their Jesuit education. ASC core values are service, community, and personal growth. ASC volunteers approach the participation in the Alumni Service Corps with a variety of motivations. Typically these include the desire to have an interim year before graduate studies or employment, the desire to explore education as a potential career, and/or the desire to say "thank-you" for their own rich, Jesuit education. Regardless of the variety of motivations present to commit to the Alumni Service Corps, the primary desire is an integrated vision of service and gratitude. The National ASC program was founded by the Missouri Province in 1991. Shortly thereafter, some additional Jesuit high schools began similar programs with their own alumni coming back to their high school for a year of service. Seattle Prep is not part of the national program in terms of volunteer placement, although we do share in mission and objectives. The National ASC program connects six participating schools in Denver, Kansas City and St. Louis. It maintains close ties to the Jesuits, and has a strong Ignatian formation component. The application process for the 2019-2020 ASC school year is now closed. Applications for ASC4 (2020-2021) will be available in early September 2019. ASC4 applications received by December 15, 2019 will receive early consideration with the possibility of interviews occurring over the applicant's Christmas break. The final deadline for ASC4 applications will be February 1, 2020. Offers of ASC4 positions will begin to be made in March 2020. 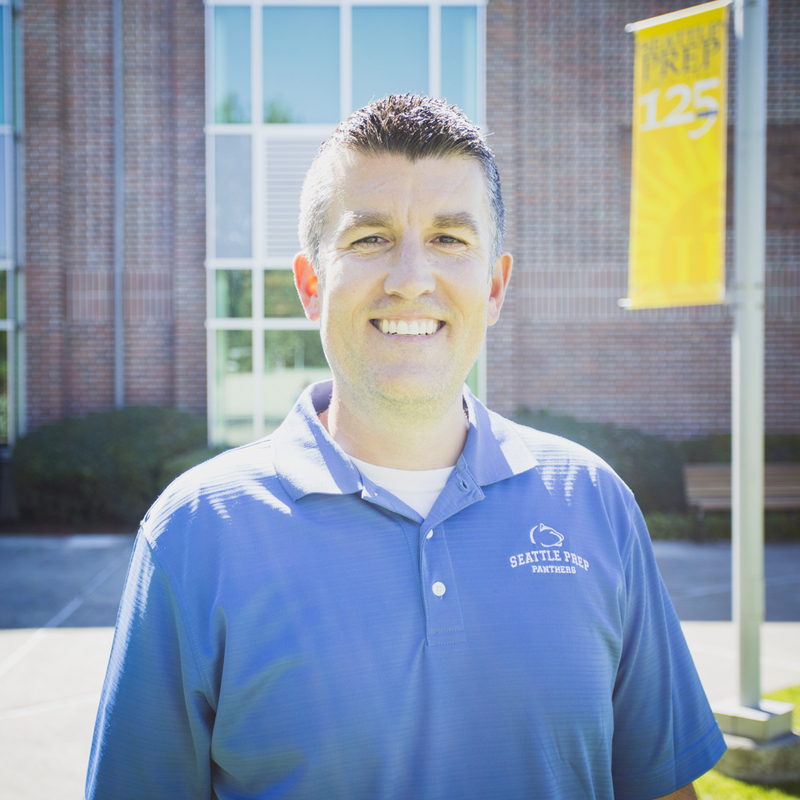 Please contact Brian Meza ’92, ASC Director & Science Teacher, with any questions at bmeza@seaprep.org or 206-324-0400. 1. Is ASC for me? Women and men who graduated from Seattle Prep are eligible to apply. The ASC is looking for men and women with a desire to give back in gratitude for their Jesuit education and who embody the highest ideals of Jesuit education for students at Seattle Prep today. Women and men who continue to grow in the aspirations of The Profile of the Graduate at Graduation are encouraged to apply. ASC Volunteers will live in community and will receive a $1500 monthly stipend from August through June as a reimbursement for living expenses such as food, transportation, and health care coverage. 2. What would I do? 3. Are some majors preferred to others? All BA and BS majors are encouraged to apply. We are committed to placing candidates in positions where they can be successful. We look at candidates’ overall academic performance in college, and their accomplishment in major and minor areas in particular. 4. Is there an age limit for ASC? ASC volunteers are graduates from Seattle Prep who have earned their undergraduate college degree in the school year prior to their start of service. 5. Will I need a car? No. Given the close proximity to campus, ASC Volunteers will not need their car for Seattle Prep related service/activities. If you bring your own car you will need to provide your own insurance. 6. When does the ASC year begin and end? The year begins formally with the move-in date mid-August 2019 (specific date to be communicated in the spring), but communication between the incoming ASC Volunteers and the ASC Director happens throughout the spring semester. The year ends with the conclusion of the school year and completion of all responsibilities for the school. ASC Volunteers have until the end of June 2020 to move out of their residence. 7. What is involved in the admissions process? Visit the application page for details on applying. What is the timeline for apps? Completed applications must be submitted to the ASC Director, Brian Meza, no later than February 1st of the current calendar year. Applications will be received and reviewed from October 1st-February 1st. It is possible therefore to conduct interviews over your Christmas break at Seattle Prep. We would prefer to interview in person at Seattle Prep, yet we understand this may not be possible for a variety of reasons. If a candidate is unable to interview in person, alternative arrangements will be made including phone & Skype interviews for example. 8. What if I have not had Education classes? We have great esteem for the field of education and for people who immerse themselves in the best thinking available to make good teaching a reality. Most ASC Volunteers have not had Education classes and very few are certified. There are many qualities that make an application attractive. With or without academic training in Education, we are looking for men and women who have the potential to be successful in a variety of areas on campus. 9. Are all ASC Volunteers practicing Catholics? While ASC Volunteers do not have to be Catholic, they must have a desire to commit to the spiritual dimension of the year of service. ASC Volunteers possess a desire to grow spiritually, an openness to learn and be challenged, and an appreciation for the Jesuits and lay colleagues who accompany them in this journey of faith and service. 10. Can I defer my student loans? The answer is almost always ‘yes’. Federal loans, e.g. Stafford, require some simple paperwork to defer. As long as you didn’t make too much money for the tax year it shouldn’t be a problem. If your loans are through a private lender you will need to contact the lender directly. We recommend you do this sooner rather than later. 11. Can I serve in ASC if I am married? Sadly, no. But, congratulations on getting married (and tell us about it so we can include you in Panther Tracks)! We have found that ASC Volunteers who are engaged do a fine job with their daily duties, but are often less available to engage in the life of the ASC community. If you are moving toward getting engaged in the next year, then ASC may not be for you. However, many ASC Volunteers enter the year in committed relationships. 12. I have a relative that is getting married, celebrating a major anniversary, etc. Will I be allowed to attend this event? ASC Volunteers are treated as faculty in their schools. Under normal circumstances, major life events can be accommodated with advance notice and conversation with administration. 13. Does ASC provide health insurance? Will my preexisting health condition be covered? ASC Volunteers will be provided with $1500/month to cover health insurance and a monthly stipend. Those ASC Volunteers covered by their parents’ health insurance can choose to use the full monthly benefit as a cash stipend. 14. Where will volunteers live? ASC Volunteers will live in community in a house across from school campus. Furniture, kitchen appliances and utilities are all provided, as well as internet access. ASC Volunteers should pack what is needed for the year, and are discouraged from renting moving vans. A few bags (perhaps large) should do the trick. 15. What holidays are provided? What travel is included? ASC Volunteers will follow the school holiday schedule (Christmas break, spring break, etc) and no travel expenses are included. 16. Is Seattle Prep the only Jesuit high school that has an ASC program? The National ASC program was founded by the Missouri Province in 1991. Shortly thereafter some additional Jesuit high schools began similar programs with their own alumni coming back to their high school for a year of service. Seattle Prep is not part of the national program in terms of volunteer placement, although we do share in mission and objectives. 17. What happens after ASC? The program is a year of service and not a stepping stone to a job at Seattle Prep. ASC alumni have found success in a wide variety of careers. While some are faculty members and administrators in Jesuit or other Catholic schools, many serve in public school districts across the country. Others have pursued careers in law, medicine, academics, the arts, finance, religious life, business, engineering and more. Women and men from a broad spectrum of backgrounds are drawn to the program, and after ASC they go on to have wildly interesting and successful careers. Five years ago, on March 2, 2014, I said goodbye to the Seattle Prep stage. With the last bow and the final enduring clap, West Side Story had come to an end.